William Earl Baker was born in West Zorra Township, the son of William Lyle Baker and Clara Marlborough Ford. He attended S.S. #7 (Wadland's) public school in West Zorra along with siblings Robert John, Alan Joseph, Stuart Wesley, Beatrice Louise, Vera Luella and Edna Rachel. 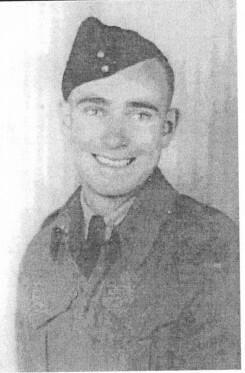 On December 4, 1942 he enlisted in London, Ontario and received his training at Debert Camp, Nova Scotia and Chatham, New Brunswick. He served in England and earned the Canadian Volunteer Service Medal and Clasp. Earl was also a Past President of Royal Canadian Legion, Memorial Branch 518, Tavistock, Ontario.